The disciples and the early church were distinctively marked by boldness. Boldness in a supernatural kind of way. Boldness that was beyond personality, intelligence or even personal preference. It’s a boldness that couldn’t be mustered up or created, but it was one that was desired and pursued. 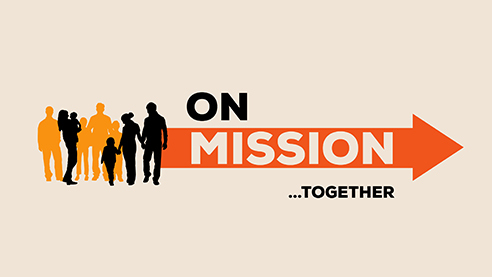 I had the opportunity to preach this text this past Sunday as a part of our church’s journey through the book of Acts to discover what it means to live “on mission.” This is both a personal and corporate pursuit. We are called individually and communally to the mission of God… to advance the Gospel to the ends of the earth. Reading this text is incredibly challenging. Would anyone characterize my life or your life as one marked by boldness in the Gospel? Why are we ok with the disciples and early church fueled by such power from the Holy Spirit but our lives being so different? Should there be such a disconnect between what we read in Scripture and our own experiences? These and other questions continue to challenge me and I pray you as well as we better understand what it means to walk in the Spirit and give our lives wholly over to His use. But be warned… as you start asking these questions and allowing the Spirit to probe your heart know that things will change. And that change begins to look a bit scary as we realize we must lay everything on the table for this mission. Safety, security, material possessions, job, location, dreams, desires… and the list goes on and on. But when you stop and think about it… how is it scary to lay these things before the Lord when He holds our very life in His hands? How are we so willing to trust Him with our salvation and eternal security but not with our lives for His purposes while here on earth? In laying these down are we not trading the perishable for the eternal? Are we not investing in things that will last for eternity. God, would you empower us with your Spirit to live and speak with boldness for your great name and your glory and for the advancement of the Gospel to the ends of the earth! If you missed the sermon, you can listen or download the sermon here.